These six things are all part of the 20% of things to give us 80% of our health. – Take-out fructose from your diet. – Take-out simple carbohydrates. Have more complex carbohydrates, fat and protein. – Take-out food for 2 days per week. (5:2 Diet) for a period of time if you want to loose weight fast. – Take-out a calorie counter for a short period. Become aware. 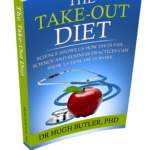 – Take-out seed oils from your diet. – Take-out sitting down for more than 30 minutes at a time. Try to get some form of exercise. Review these things in the context of the 3 legged stool. Our physical body, our mental attitude, and the society we live in. Change is challenging. Understand why diets fail. But can succeed. If you are under 40 – most are overweight, but you still keep on slowly but surely over 40 – you become obese.. It is what you eat. Not your resolution for diets, exercise. Unless you make a change in food intake, you will put on about 1% of your weight each year. Part of the “eight glasses of water per day” story is that we are all chronically dehydrated, and yet our bodies are not sensitive enough to correct this by making us thirsty. From a physiological point of view, this is rubbish. Drink water. Some. Do you need 8 x 8oz (1.9l) per day? No. Include tea and coffee in your consumption figures. But do not drink sweetened sugar beverages. (SSB). That means avoid gin and tonic, rum and coke or any alcohol with SSB’s. Change to Just do it on the rocks.